After watching this video of Disney's Gaston arm wrestling an adorable girl, I think we can all agree that Disney character actors are some of the best people on the planet, hands down. Between the mischievous-yet-sweet Peter Pans of Disneyland, the totally not still jealous Evil Queen from Snow White , and now Gaston graciously accepting an arm-wrestling challenge (even if he doesn't graciously accept defeat), I'm pretty sure I have a new destination for my next vacation.This particular video comes mere days after Gaston crushed a bro who dared to challenge him to a push-up contest (spoiler alert: at one point he does them one-handed while loudly mocking the other guy). That might be where the preteen in the clip got her arm-wrestling idea, but her contest had very different results. 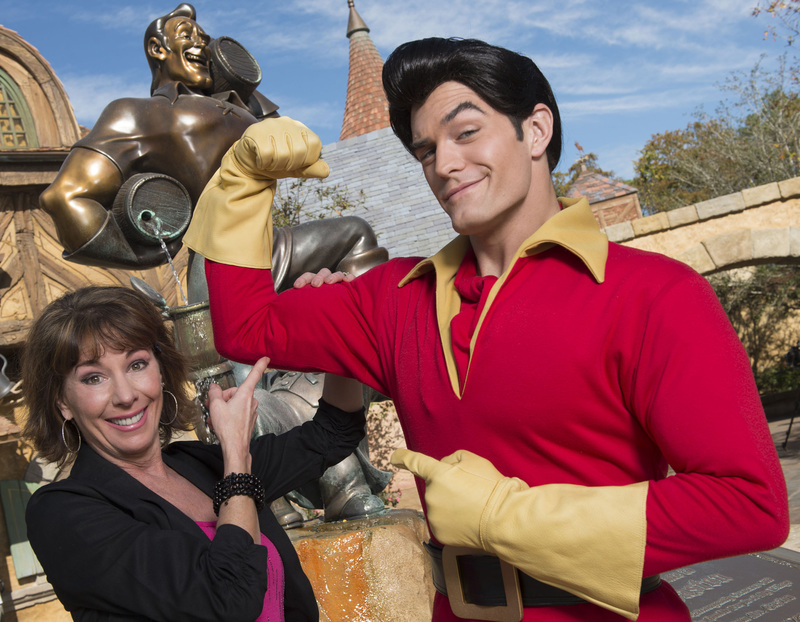 After remaining steadfast in her quest despite her opponent's bluster — apparently when a doctor tried to take Gaston's pulse after he was born, "10 seconds later they were checking his pulse" — the duo faced off. Our 11-year-old heroine, however, had a trick up her sleeve. Before the onlookers could count all the way down, she struck, handily defeating our favorite sexist pig. Because, as I said earlier, Disney character actors are the best, Gaston had a very...Gaston-like reaction. There were many cries of, "That doesn't count!" and demands for a rematch, to no avail. Demonstrating how smart she really is, the girl ran away before he could challenge her again. Clever and willing to cheat? I think we have a new Disney villain in the making.